Japanese trading house Mitsui & Co may boost its stake in Brazil's Vale SA if other shareholders sell part of their holdings, a senior executive said, giving it greater influence over the iron ore giant's management. 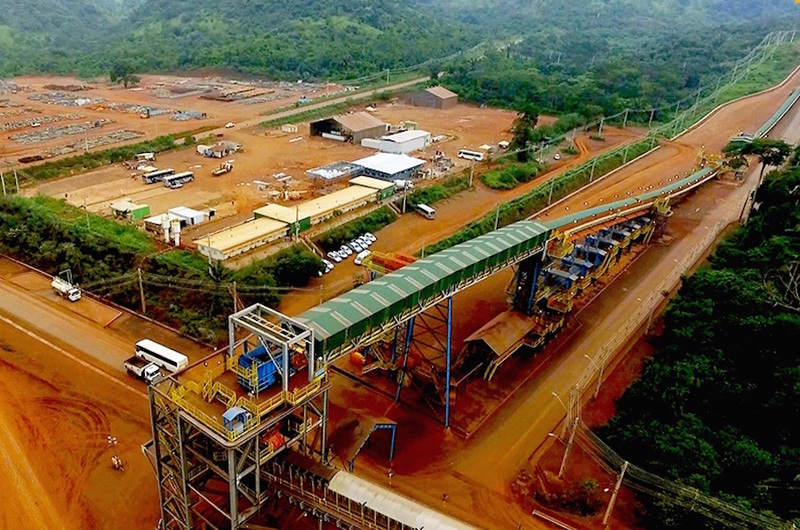 Several Brazilian pension funds and BNDESPar, the investment arm of state development bank BNDES have been considering the sale of part of their stakes in Vale, equating to about 3 percent of the miner's shares in total and worth up to 8 billion reais ($2 billion). Buying an additional stake was "an option", Yukio Takebe, Mitsui's senior executive managing officer who oversees the energy and metals business, told Reuters in an interview on Thursday. "We want to keep being involved in Vale's management in the future," Takebe said. Mitsui, one of Vale's four controlling shareholders under its previous dual-share structure, currently has two positions on the miner's 11-member board. The sale of Vale stakes has been a subject of market speculation since the world's largest iron ore miner moved to a single class of stock in October. Mitsui currently holds a 5.51 percent stake in Vale. Asked whether Mitsui could buy all of the shareholders' stake if it were offered as a parcel, Takebe said: "I wouldn't rule out possibility, but it's unlikely that we would buy all the shares on sale." Iron ore is a mainstay resource asset for Mitsui and it aims to boost its annual equity output – its share of output from equity stakes it holds in miners or mines – to 64 million tonnes in two years from 60.9 million tonnes last year ended March. "Boosting iron ore output is our priority for the metals business," Takebe said. Mitsui, which has an interest in nickel and cobalt through a joint venture with Sumitomo Metal Mining in the Philippines, may also look at other projects given likely demand for rechargeable batteries for electric vehicles. "We don't have assets in other battery metals such as lithium, but we want to keep an option to own such assets if attractive deals come up," Takebe said. However, Mitsui would be cautious as most attractive assets were already taken and new entrants may be forced to pay high prices for assets in difficult locations to develop. Mitsui said in May a final investment decision (FID) on a U.S. Anadarko-led offshore liquefied natural gas project in Mozambique is expected by end-March.